For over 30 years, Montessori School of Calgary (MSofC) has offered a holistic approach to education with proven academic success. Located in the heart of Calgary in the historic Cliff Bungalow School Building, we offer programs for children aged 3-12 years of age spanning preschool to Grade 6 accredited Montessori (AMI) and Alberta Education curricula. We are committed to supporting children’s academic, emotional, social and physical development. We consider the learning process and our Montessori journey a partnership between students, parents and educational professionals. Together, in the spirit of hard work, collaboration and a search for excellence, our students engage as self-directed learners, flexible thinkers and creative problem solvers. ​In 1907 Dr. Maria Montessori, Italy’s first female physician, introduced a revolutionary approach towards the way children are educated. She incorporated her scientific understanding of human development with her passion for mathematics, physics, natural sciences, anthropology, psychology and philosophy. Through years of observation and scientific study, she created a system that looked at the development of the entire child. She believed that all children possess an intellectual and creative potential, an internal desire to learn and the ability to direct themselves in this learning. In carefully prepared classrooms, children are grouped together in three-year age spans where they have the ability to learn the role of following and then leading. 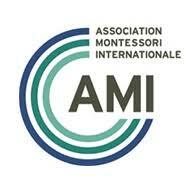 The Montessori School of Calgary is AMI Recognized for the 3-6 and 6-12 levels.